Product prices and availability are accurate as of 2019-04-14 13:17:56 UTC and are subject to change. Any price and availability information displayed on http://www.amazon.com/ at the time of purchase will apply to the purchase of this product. 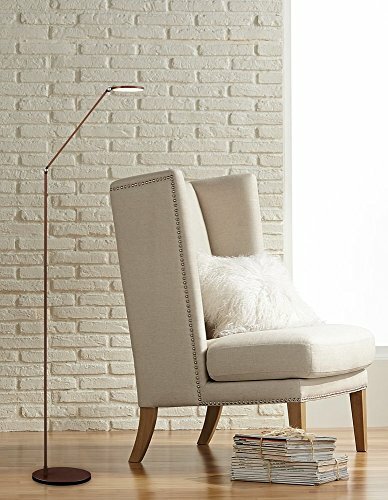 Perfect for any modern styled setting, this LED floor lamp is constructed in metal material. In a striking French bronze finish that will complement a variety of spaces beautifully. The flexible head adds targeted lighting right where you need it. From the Magnum collection by Possini Euro Design. 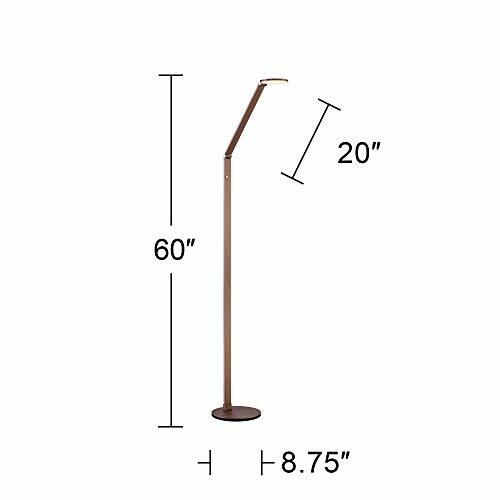 61" high in full upright position with head at 90 degrees. 46" main column plus 15" arm. 5" diameter head. Base is 8 3/4" wide. Built-in 10 watt LED is comparable to a 60 watt incandescent. 800 lumens. 3000K. Built-in dimmer switch gives you lighting control. 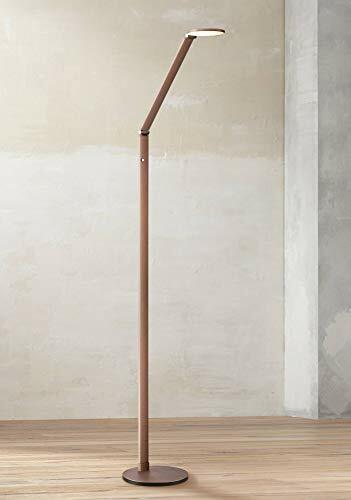 Energy-efficient LED floor lamp for reading or other tasks from Possini Euro Design®. Flexible lamp head can be aimed as desired. French bronze finish. Metal construction.